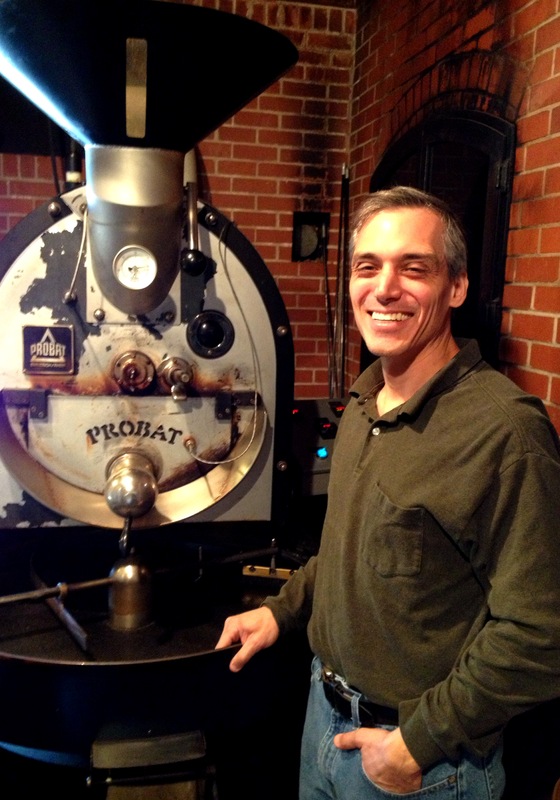 Owner, Roaster of Piedmont Coffee Roasters Inc.
Coffee Roaster Jerome Pappas, a former Owner, Manager, Buyer of Tobacco USA and West Market Gourmet, provided some of the areas most notable restaurants custom coffee blends in addition to the many favorite flavored blends and traditional roasts. Thanks to overwhelming community encouragement, Jerome is now roasting to serve the Triads best restaurants, coffee houses and specialty markets with custom house blends, varietals, flavored and decaf coffee. You can find Piedmont Coffee Roasters house blend coffees are not only served in these restaurants located in the Piedmont Triad of North Carolina but online as well. Click to download and save logo file for press and promotional purposes.